Disabled individuals, and others, often incur difficulties reaching top shelves and the items which are placed deep in these shelves. 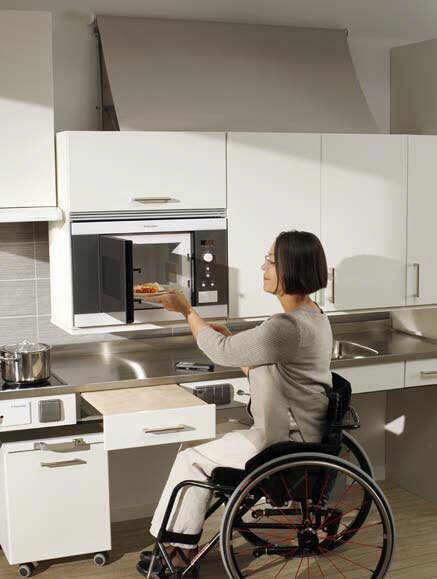 The Diago cabinet lift system allows those individuals who have difficulty reaching their upper kitchen cabinets to overcome these obstacles and reach the food, utensils, plates and cookie jars that are placed on those high shelves. 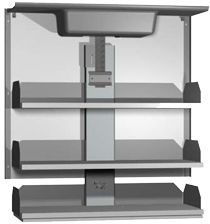 The Diago cabinet lift system lowers the wall cabinet down to the counter level in a curved movement. If the cabinet comes in contact with anything on the counter the fully enclosed safety plate mounted on the bottom of the cabinet will cause it to stop automatically for safety. This cabinet lift system is available in multiple sizes to accommodate existing cabinets or allow multiple options when designing cabinets in new installations. 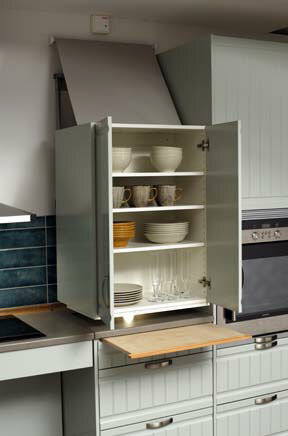 Almost any upper kitchen style cabinet can be mounted using the Diago cabinet lift system. The narrower Diago Cabinet Lifts are more suited to single cabinets and are available in widths of 60cm (23.6") to 110cm (43"). The wider Diago Cabinet Lifts are more suited to mounting multiple cabinets and are available in widths of 120cm (47") to 180cm (71"). 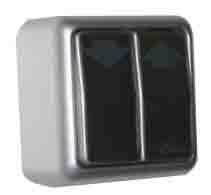 These cabinet lifts are available with three different control options. 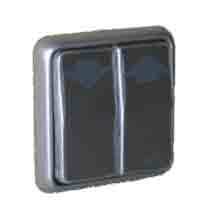 The first control system is hardwired switch that is positioned permanently in a convenient position. 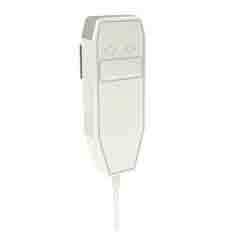 The second control system employs a handheld pendant that can be left in a convenient location near the cabinet lift. 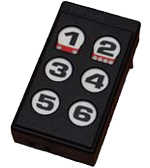 The third control system involves a wireless remote control. In accordance with the warranty conditions Orgalime S 2000 the manufacturer will replace or repair all faults which depend on manufacturing or material faults and which appear within twenty-four (24) months from the delivery. For further details about the conditions, see Orgalime S 2000. The warranty is only valid if inspections and maintenance is carried out in accordance with the instructions. This warranty does not cover the cost of normal maintenance, settings or scheduled adjustments as specified in the instructions. Also the labour costs for such actions are not covered by the warranty. Damages caused by misuse or incorrect operation of the equipment means that the warranty would expire.